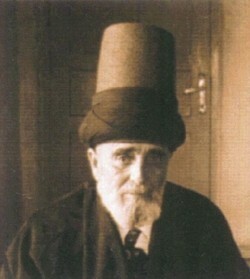 He was born on 9 January 1778, in İstanbul, Şehzadebaşı. He started studying music with Mehmed Emin Efendi, at the age of eight. He attended rituals at Yenikapı Mevlevihanesi, a place of Mevlevi gathering. He studied with Ali Nutki Dede and learned to play ney, in Yenikapı Mevlevihanesi. He became "Dede" in 1799. Dede Efendi's music was well appreciated by Sultan Selim III and then he performed his works at the palace. He had composed hundreds of songs and mevlevi rituals. In 1846 he pilgrimaged to Mecca, but in Mina contracted cholera and died. His grave is now in Mecca. Dede Efendi gave lessons in Turkish music to Hamparsum Limonciyan who developed the Hamparsum notation, the dominant notation for Turkish music.